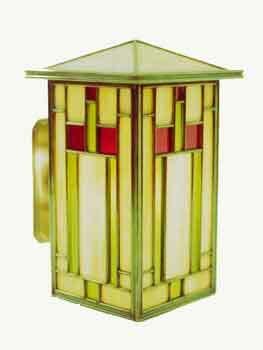 Modeled after a 1903 Frank Lloyd Design for the Cheney House in Oak Park, Illinois, this lamp package also includes instructions for building this lamp as a table lamp or hanging lantern. The lamp itself is a 5 3/4" square which is 9 3/4" tall. 3 sheets of plans, 11" by 17"